I was happy to have borrowed this book from the library - Cakes & Bakes, published by Parragon Books Ltd. The recipes in the book looked simple and good. Therefore, I was tempted to try it last night. I decided on Ginger (Topped) Fingers. 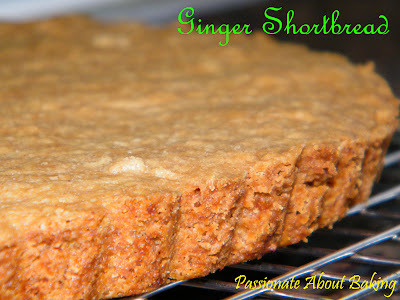 Instead of adding the toppings, I left the shortbread as it is. It was crispy and fragrant. However, it was also very crumbly. My colleagues tried them and commented that they will be good as cheesecake base. I also agree. 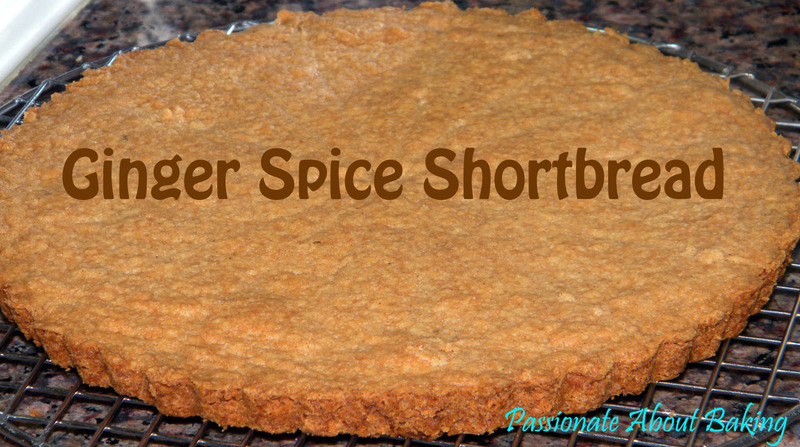 Therefore, the next time when I bake cheesecake, I will likely use this shortbread as the base. Try it and you know what I meant. Recipe for Ginger (Topped) Fingers or Shortbread, extracted from Cakes & Bakes. 1. Preheat the oven to 180C. Grease a 9" round tart pan. 2. Sift the flour, ground ginger and cinnamon into a bowl and stir in the sugar. 3. Rub in the butter until the mixture begins to stick together. 4. Press the mixture into the prepared tin and smooth the top with a palette knife. 5. Bake in the preheated oven for 40mins, or until very lightly browned. 1. Place the syrup and butter in small suacepan over a low heat and stir until melted. 2. Stir in the icing sugar and ginger. 3. Remove the shortbread base from the oven and pour the topping over it while both are still hot. 4. Leave to cool slightly in the tin, then cut. 5. Transfer to wire racks to cool completely. 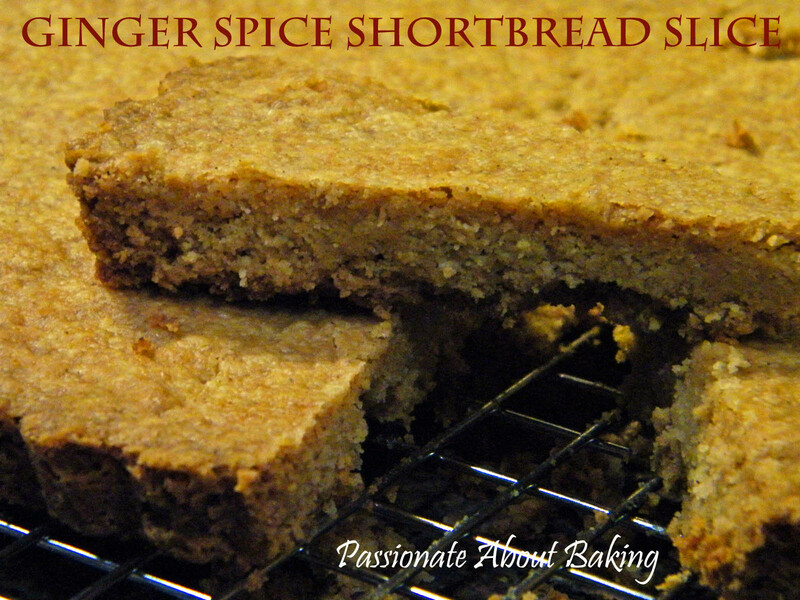 I love ginger and having this in a shortbread would definitely be wonderful.Thanks for sharing! Oh I can try this for my X'mas gathering..:) Thanks!